An amber-encased mosquito brimming with codes and stories—a library of information able to be extracted, replicated, and rebooted ad infinitum. It’s one of Michael Crichton’s most indelible images, the scene that puts the Jurassic in the Park. One must wonder if the pop novelist, who died in 2008, knew that he would one day be that mosquito trapped in amber, resurrected every couple years like the dinosaurs he made famous. 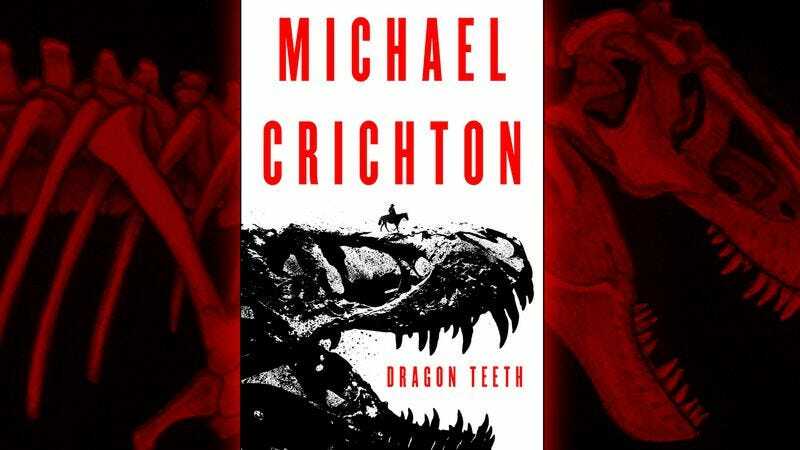 Dragon Teeth, Crichton’s third posthumously published novel and the basis for an already-in-the-works limited series from the National Geographic Channel, is the latest bit of DNA extracted from the man who gave us Westworld, ER, and a dozen-plus other bankable properties. From a manuscript written in the mid-1970s, and presumably one the author chose not to publish, Dragon Teeth begins with a common Crichton conceit, an analogy for the author’s own voluminous and peripatetic research and writing interests: A stubborn but sympathetic naif joins an expedition into the unknown. Yale freshman William Johnson is a bore: He boozes and gambles and wrecks his roommate’s yacht. On a whim, he makes a bet with an archrival, scuttling summer plans for a grand tour of Europe to journey west. Problem is, the year is 1876, meaning no champagne in Catalina or getting high in Telluride. The West, in young William’s estimation, is “a vast desert populated by savage aboriginal tribes.” But a New Haven gentleman never withdraws a wager, and our hero joins up with the head of the university’s Peabody Museum Of Natural History, a paleontologist named Othniel Charles Marsh. Called the “Baron Of Bones,” after the fashion of Carnegie the steel baron, Rockefeller the oil baron, and Crichton the baron of bestsellers, Marsh is a cutthroat fossil hunter, who, like all great 19th-century American oligarchs, thrives on a relationship with a former friend-turned-hated adversary, Edward Drinker Cope, whom he believes has sent William to steal his bones. This is primo Crichton. But despite being based on a pair of real-life fossil finders, whose rivalry, known as the “Bone Wars,” was punctuated by sabotage, spying, and bitter accusations, both characters come off as half-baked. 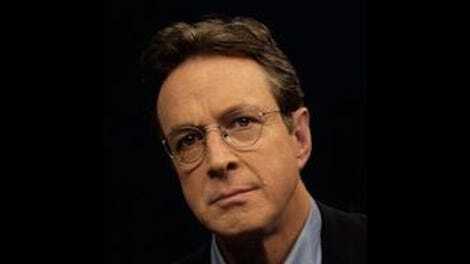 Marsh is a spy-wary lunatic, Cope an eggheaded savant. We follow William westward into the frontier town of Omaha, where the streets are filled with “rugged men, painted women, border ruffians, pickpockets, soldiers, crying children, food vendors, barking dogs, thieves, [and] grandparents.” (Grandparents! Westworld this is not.) As Marsh and crew amble into the Wyoming Territory, he arms his dozen student volunteers with Smith & Wesson revolvers, a setup that seeks to solve the age-old question: What would happen if a dozen Yalies were equipped with firearms and set loose upon the town of Cheyenne? The answer: Not much. The Bone Baron absconds before William can change out of his pajamas, much less fire his weapon, leaving the stranded student to join Cope’s ragtag company. Unfortunately, Dragon Teeth will offer little to Jurassic Park junkies. Even William’s accidental discovery of a set of Brontosaurus bones—the titular “teeth of dragons”—become little more than a MacGuffin in a protracted, Yojimbo-esque stage piece set in the town of Deadwood. On to the next mosquito. Dragon Teeth has no bite.